The story begins with a letter which is supposed to have come from Annamalai, but the narrator, his master, is not sure if it is really from Annamalai (p. 118). The fact that the narrator does not remember the name of Annamalai's village, though having "written" letter for him every month for a decade, says something about the distance between the master and the servant. Try to find out more about their relationship. Why cannot the master completely trust the servant? Characterize Annamalai. What are his strengths? His beliefs and superstitions? What are his weaknesses? What are his views about name, gardening, books and papers, etc.. What are his reasons against trimming the hedges on p. 129? Why does he insist on going home at the end? What does "home" mean to him? If you were the master, can you trust Annamalai as the narrator does? Language. Here language is important in two ways: first the fact that Annamalai is illiterate; and second, the advantage English has over Tamil. Find out more about the importance of language in this story. Reflection question: Have you had the experience of being in close contact with a person from a different class or cultural background, where the gap is big and the issue of trust very complicated? Nambi, the story teller, seems to have a divine power. Why do the villagers like to listen to him so much? How does he identify himself? Why does he stop telling stories at the end? Reflection question: Were you born in a village? What used to be the center of your village? It's impossible to talk about this if you always live in a city. Still, you can think of traditional Chinese story-telling and see what you feel about it. The following information is offered by Anoop Sarkar. "I'd be quite happy if no more is claimed from me than being just a story-teller. Only the story matters, that is all. If readers read more significance into my stories than was meant originally, then that's the reader's understanding of things. But if a story is in tune completely with the truth of life, truth as I perceive it, then itt will be automatically significant." "R. K. Narayan was born in Madras in 1906 and educated there and at Maharajah's College in Mysore. He has lived in India ever since, apart from his travels. Most of his work, starting from his first novel Swami and friends (1935) is set in the fictional town of Malgudi which at the same time captures everything Indian while having a unique identity of its own. After having read only a few of his books it is difficult to shake off the feeling that you have vicariously lived in this town. Malgudi is perhaps the single most endearing "character" R. K. Narayan has ever created. He has published numerous novels, five collections of short stories (A Horse and Two Goats, An Astrologer's Day, Lawley Road, Malgudi Days, and The Grandmother's Tale), two travel books (My Dateless Diary and The Emerald Route), four collections of essays (Next Sunday, Reluctant Guru, A Writer's Nightmare, and A Story-Teller's World), a memoir (My Days), and some translations of Indian epics and myths (The Ramayana, The Mahabharata, and Gods, Demons and Others). 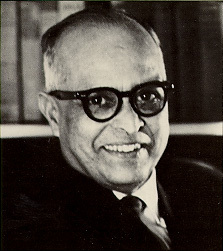 In 1980, R. K. Narayan was awarded the A.C. Benson award by the Royal Society of Literature and was made an Honorary Member of the American Academy and Institute of Arts and Letters. In 1989 he was made a member of the Rajya Sabha (the non-elective House of Parliament in India). He received the Sahitya Akademi Award for The Guide (1958). R. K. Narayan: The Guide: A Study Guide (1958)Paul Brians' study guide for Narayan's "The Guide". The Doctor's Word: summary and commentary on a short story by Narayan. Graham Greene. Introduction to The Financial Expert. My America, an essay by Narayan; A critique of My America by Amy Laly. Tales familiar and unfamiliar (from the online Hindu).A. Hariprasanna.